Holder of a 2014 Borletti-Buitoni Trust Award, shortlisted for a 2014 Royal Philharmonic Society Music Award, winner of both First Prize and the Audience Prize at the 2009 London Handel Singing Competition and a BBC New Generation Artist for 2011/2013, Ruby Hughes is the daughter of the celebrated Welsh ceramicist Elizabeth Fritsch. She made her debut at the Theater an der Wien 2009 as Roggiero in Tancredi, returning as Fortuna in L’Incoronazione di Poppea. 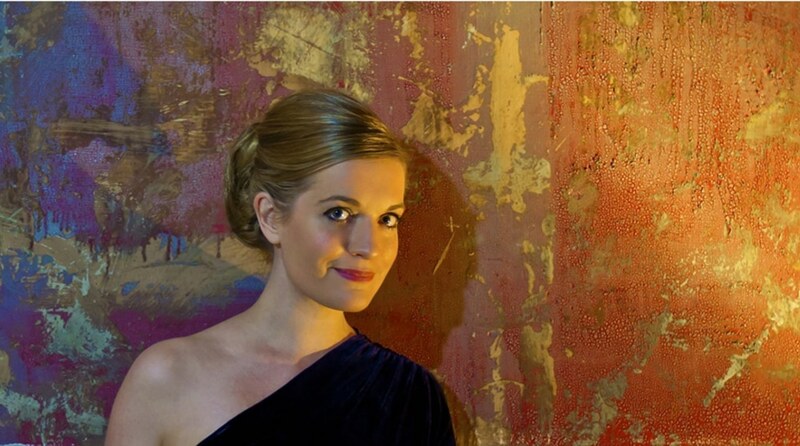 She has sung at the London Handel Festival, Buxton Festival and Aix-en-Provence Festival. In the UK she has appeared with English National Opera, Early Opera Company, Garsington Opera, The Opera Group, Music Theatre Wales and Scottish Opera. She also appeared in Sir Jonathan Miller’s production of the St Matthew Passion at the National Theatre. She has sung with ensembles such as the Akademie für Alte Musik, Berlin, Les Arts Florissants, all the BBC Orchestras, Britten Sinfonia, Le Concert Spirituel, The King’s Consort, London Mozart Players, Manchester Camerata, the Munich Radio Orchestra, Orchestra of the Age of Enlightenment, Philharmonia Orchestra, Royal Liverpool Philharmonic Orchestra, RTÉ National Symphony Orchestra, Scottish Chamber Orchestra, Stuttgart Chamber Orchestra, Ulster Orchestra and Zurich Chamber Orchestra. Ruby has broadcast and recorded a wide range of repertoire including works by Bach, Barber, Berg, Britten, Crumb, Handel, Haydn, Mahler, Maxwell Davies, Macmillan, Schubert and Schumann. In 2015 she will release her first solo recital disc with pianist Joseph Middleton for the Champs Hill label. She makes her US debut in 2015 in a recital with Julius Drake at The Frick Collection in New York and with Symphony Orchestra Augusta in Górecki’s Symphony of Sorrowful Songs. Her recent engagements have included a performance at the 2014 BBC Proms with the BBC National Orchestra of Wales, her debut at the Davos Festival, concerts with the Scottish Chamber Orchestra, Manchester Camerata and the Orchestra of the Age of Enlightenment, a recital at the Gent Festival and a return for the third consecutive year to the West Cork International Chamber Music Festival. 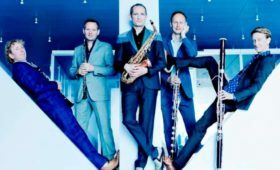 Future highlights include tours with Jordi Savall, Concerto Köln, Basel Chamber Orchestra including a performance at the Lucerne Festival, and with the Wiener Akademie as well as performances with the Ulster Orchestra, a return to the BBC National Orchestra of Wales and a recital with Julius Drake at Wigmore Hall. Pianist Joseph Middleton specialises in the art of song accompaniment and chamber music and has been highly acclaimed within this field. Described in the BBC Music Magazine as “one of the brightest stars in the world of song and Lieder”, he has also been labeled as “the cream of the new generation” by The Times. He performs and records with many of the world’s finest singers in major music centres across Europe and North America. Joseph enjoys recitals with internationally established singers including Sir Thomas Allen, Ian Bostridge, Sarah Connolly, Lucy Crowe, Iestyn Davies, Wolfgang Holzmair, Christiane Karg, Katarina Karnéus, Jonathan Lemalu, Dame Felicity Lott, Christopher Maltman, John Mark Ainsley, Lisa Milne, Ann Murray, Mark Padmore, Joan Rodgers, Amanda Roocroft, Kate Royal, Matthew Rose, Carolyn Sampson, Toby Spence, Ailish Tynan and Roderick Williams. 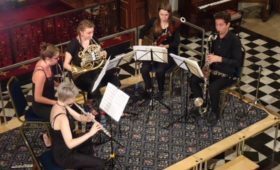 He regularly collaborates with rising stars from the younger generation and in 2012 he formed the Myrthen Ensemble to further explore the song repertoire with regular duo partners Mary Bevan, Clara Mouriz, Allan Clayton and Marcus Farnsworth. 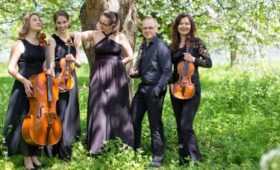 Their debit CD as an ensemble will appear on the Signum Records label. Joseph appears at major music centres including, in Europe: London’s Wigmore Hall, Royal Opera House and Royal Festival Hall, the Vienna Konzerthaus, Amsterdam Concertgebouw, Cologne Philharmonie, Zürich Tonhalle, Luxembourg Philharmonie and Dublin National Concert Hall. He made his New York debut at the Alice Tully Hall accompanying Sarah Connolly in a recital described in the New York Times as “superlative…everything a song recital should be”. Elsewhere in the Americas he has appeared at Toronto’s Koerner Hall, Vancouver’s Chan Centre, San Francisco’s Nourse Theatre and Chicago’s Ravinia Festival. He is a regular guest at festivals in Aix-en-Provence, Aldeburgh, Brighton, Cheltenham, City of London, Edinburgh, Munich, Oxford Lieder, Saintes, Stuttgart, Three Choirs and West Cork. Joseph has a special relationship with the BBC through his work with their New Generation Artists Scheme and as such has made numerous live broadcasts of solo, chamber and song repertoire for BBC Radio 3, including twice being invited to curate his own week-long series of lunchtime concerts. His critically acclaimed discography includes “Fleurs” with Carolyn Sampson (BIS Records, selected as Editor’s Choice in Gramophone magazine), and numerous recordings for Champs Hill Records, including “Elgar in Sussex” with Dame Felicity Lott, “Tell me the Truth about Love” with Amanda Roocroft, the lieder of Ludwig Thuille with Sophie Bevan and Jennifer Johnston and the complete Purcell songs as realized by Britten with Ruby Hughes, Allan Clayton and Matthew Rose. Born in Gloucestershire, Joseph graduated with an MPhil from the University of Birmingham before studying piano on an EMI Scholarship at the Royal Academy of Music. Upon graduation he held Junior Fellowships at both the RCM and RAM, had the title of Associate conferred upon him by the RAM and took up the post of Musician in Residence at Pembroke College Cambridge, where he now curates an imaginative song recital series as well as directing the University’s Lieder Scheme. Joseph’s competitive successes include the Accompaniment Prizes of the Wigmore Hall International Song, Kathleen Ferrier, Richard Tauber, Royal Over-Seas League and Geoffrey Parsons Awards. In Germany he was awarded the “Best Lied-Pianist Prize” at the International Schubert Competition LiedDuo. In 2014, Joseph was appointed Director of Leeds Lieder, “one of the most exuberant and far-reaching festivals of art-song in the UK” (The Times).